The LG G3 was one of the best flagships of 2014 and what made it particularly easy to recommend was its price, lower than most of the competition. 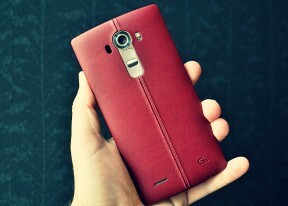 The LG G4 does much to improve on its predecessor, mainly with the new design and camera. The leather is certainly a nice touch, the stitching sets it apart from the Moto X to create a unique, recognizable look. The basic plastic cover is quite good too and you can easily switch covers to keep things fresh. The curvature of the G4 is a nice talking point that will let you brag to your friends, though its practical advantages are pretty slim. The camera improvements were much more exciting. The wider aperture and improved OIS will be a boon in the dark and the software offers features for both novices and experts. The top notch selfie camera also gets a big thumbs up. While the G3 screen was very good, it needed a boost in contrast and better sunlight legibility. The Quantum dot tech on the LG G4 renders beautiful colors and the contrast does seem better, though we'll need to take it back to the lab for specific numbers. The chipset is one area where we feel LG could have done more, Snapdragon 808 is a bit of a compromise. Also, the software is missing any headlining new features to differentiate it from the G3, if you don't count the camera manual mode and the smart notifications. 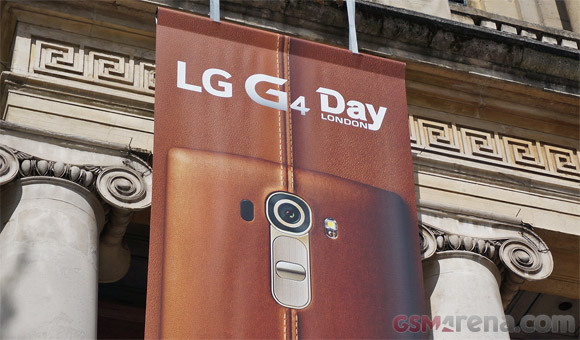 The LG G4 will launch tomorrow in South Korea and perhaps next month in the US. Launch plans are still being hashed out, but it will definitely aim for stirring the phablet market. Its relationship with the LG G Flex2 will be uneasy though and customers might be split between the two. In-fighting aside, pricing will determine the success of the LG G4 - users right now seem very willing to pay extra for a premium design, but it remains to be seen whether they would like to have real leather on their smartphone.